Up-dated with more items available on "buy-it-now", UK sales only please due postage costs. There are some heavy books here..! While searching for 'Schlachtflieger' on ebay.de, I came across the following two images, claimed to be originals, depicting Hans Ulrich Rudel at the controls of a Fw 190. The first shot below was new to me, the second has been seen widely on the net although this one seems to be a decent reprint. 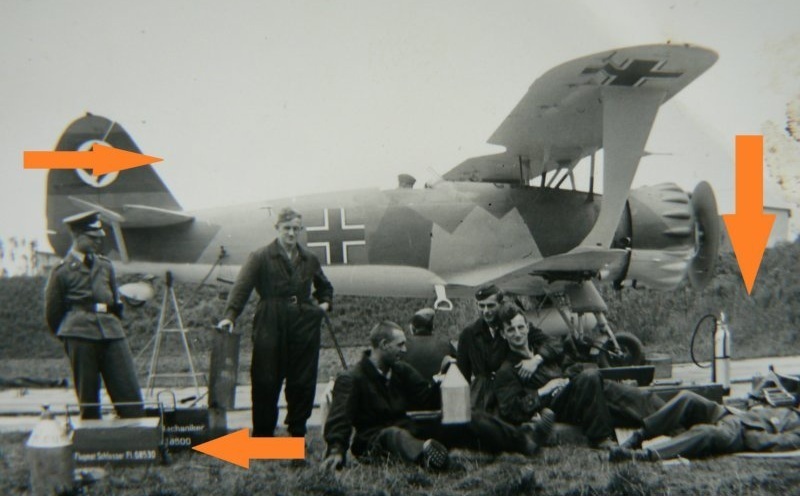 For anyone not aware of other images in this 'sequence' it is not immediately obvious that the pilot seen taxiing out in 'chevron bar' with its yellow Rumpfband is in fact Rudel himself. A look at a couple of the other images from the same series allows a positive ID. 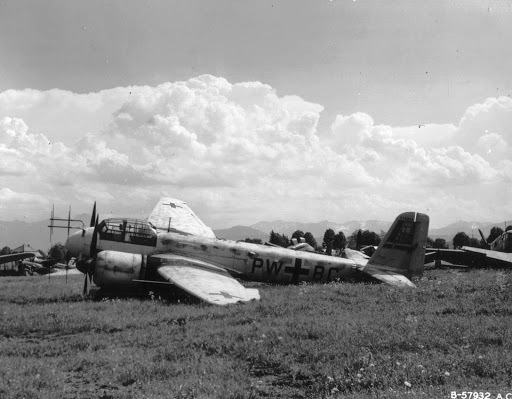 The 'sequence' is from the ECPA-D archive in Paris and was apparently photographed in Rumania during the summer of 1944. 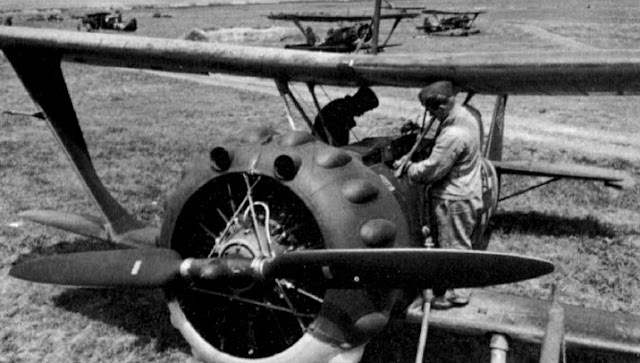 Rudel as Kommodore of SG 2 is shown getting ready for a sortie. 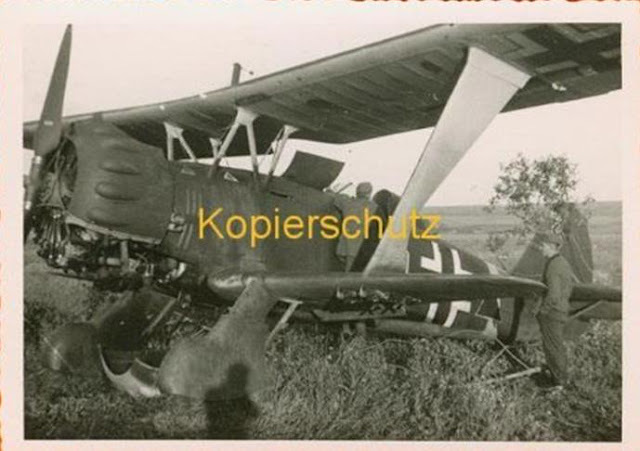 I have a couple of prints from the sequence including another view of Rudel strapping into his chute (above). 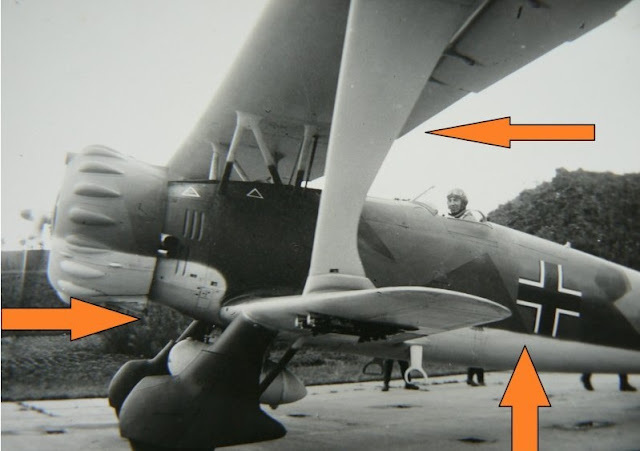 AFAIK only one other image from the same sequence has been published, most notably in Chris Ehrengardt's 'pilotes de Stuka' article ( which appeared in CJE's own Aerojournal, issue 4) . 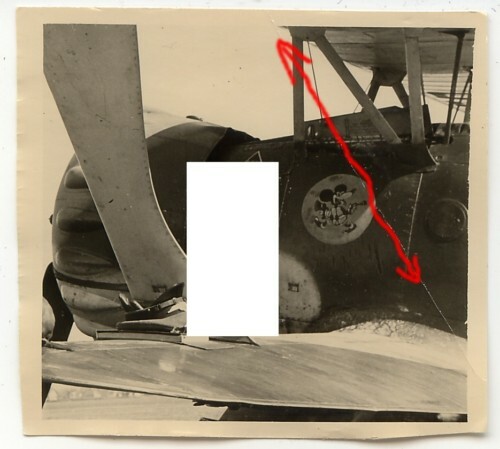 Note the mechanic on the wing (left, below) is the same figure lying on the wing in the first photo above. 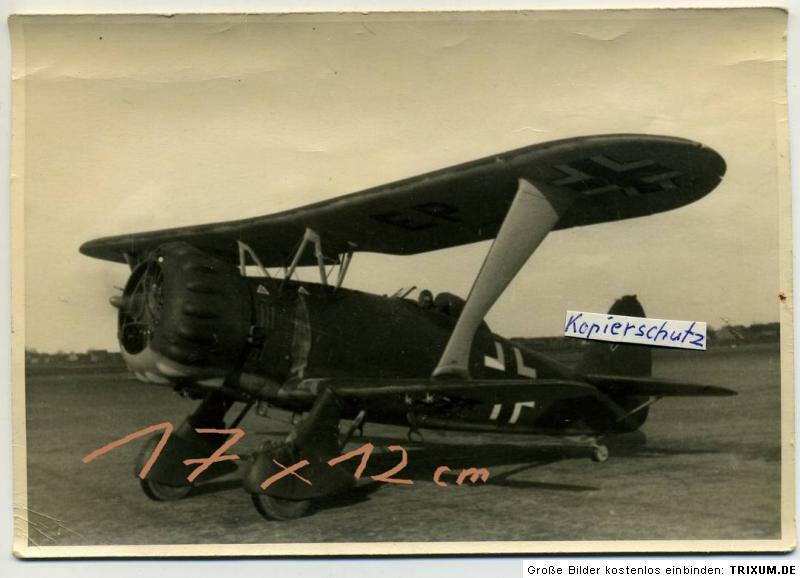 Rudel's preferred mount was of course the Ju 87 Kanonenvogel fitted with the BK 37. 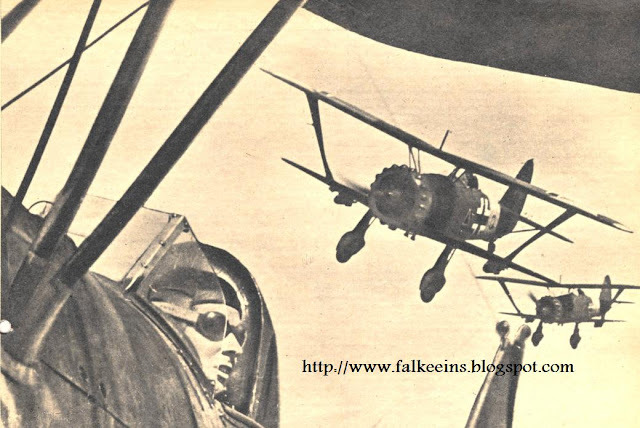 Nice image from a war-time Hungarian publication. 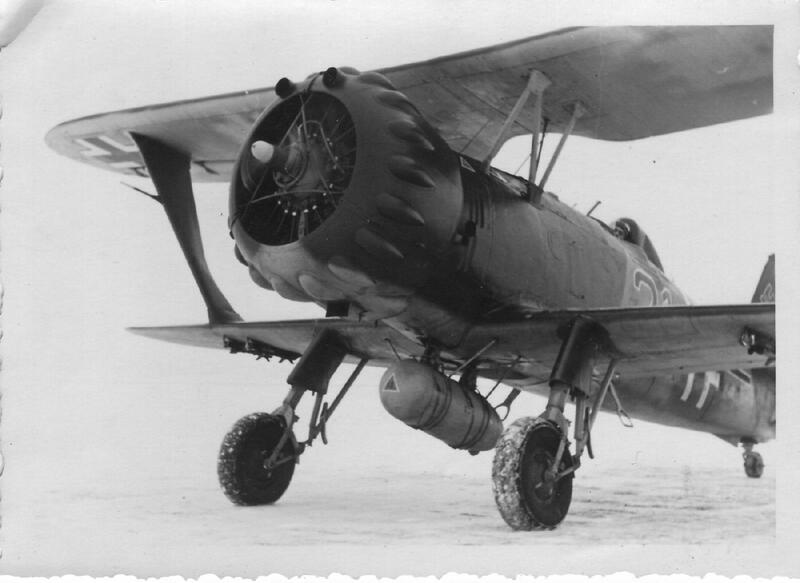 "..The BK 3.7 was not a particularly impressive gun. 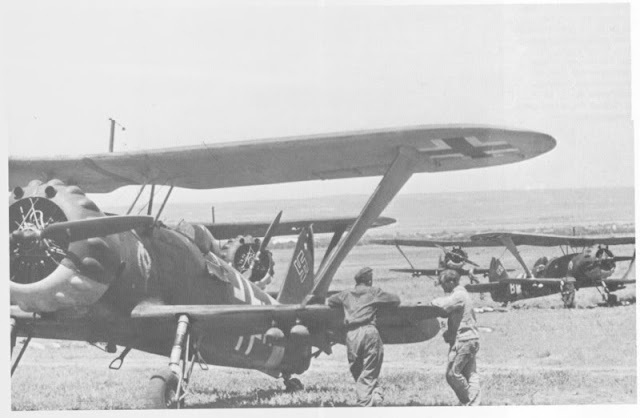 It was a modified version of the FlaK 18 AA gun, was big, heavy and slow-firing (in comparison with the NS-37) and the ammunition clip could only contain a maximum of twelve rounds (six and eight-round clips also being used). 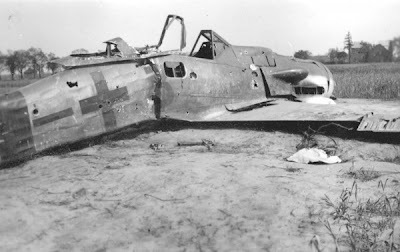 However, it was quite powerful and the tungsten-cored Hartkern munition could be extremely effective, penetrating 140 mm / 100 m / 90°, although this reduced sharply to 70 mm at 60°..."
Indeed the Kanonenvogel bore witness to the appalling penury and deficiencies of Luftwaffe resources on the Eastern Front. 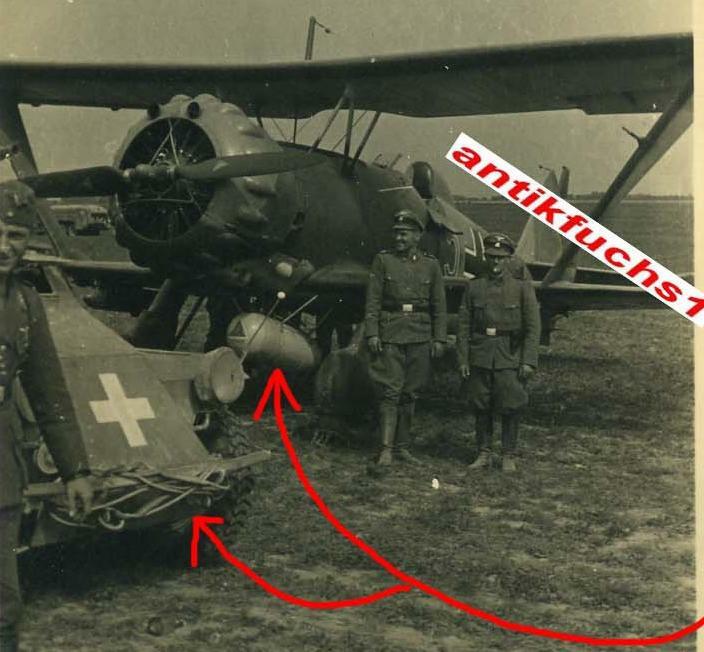 Here was a machine conceived for taking out tanks individually - one by one if you will. The central weapon of war on the Eastern Front was the tank - the Soviets had lost the armoured battles of 1941 with 11-ton T-26 and 14-ton BT light tanks. These were replaced en masse with a new generation of heavy tanks during 1942 and 1943. Both the T-34 and 45-ton KV heavy tanks toted 76mm guns - even two years later 76mm was the biggest American and British tank gun. Soviet factories started churning out thousands of them monthly - well out of the range of any Luftwaffe bombers - 15,700 T-34s in 1943 alone (quoted in Evan Mawdsley, 'Thunder in the East'). By the time the Germans could field a tank to match the T-34 the Soviets had a huge numerical , if not qualitative, advantage. The up-gunned T-34-85 featured an 85mm gun and over 18,000 of these were produced during 1945. 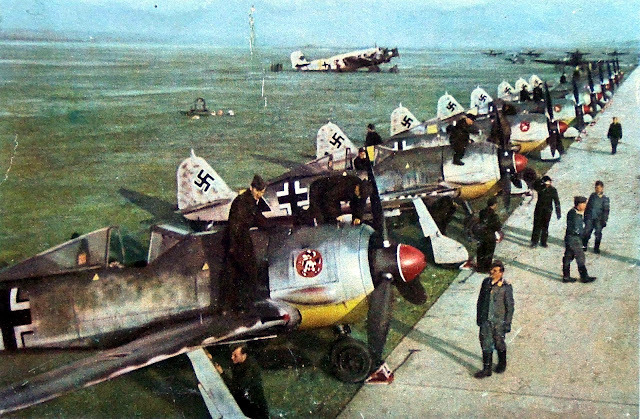 At the time of course Rudel's efforts and those of his comrades were feted in the Nazi propaganda media. 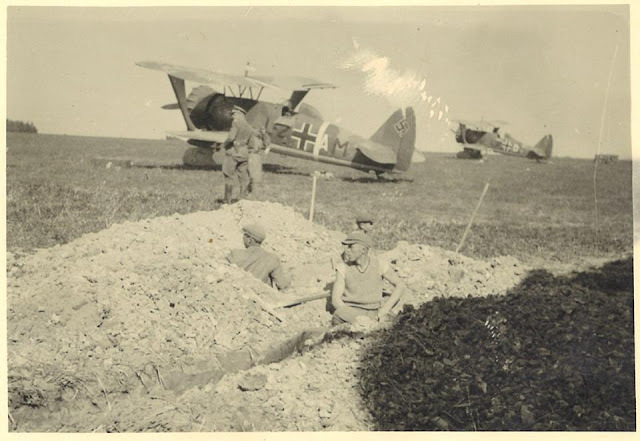 Today they are still 'celebrated' in just about every account you might care to read devoted to combat flying on the Eastern Front. 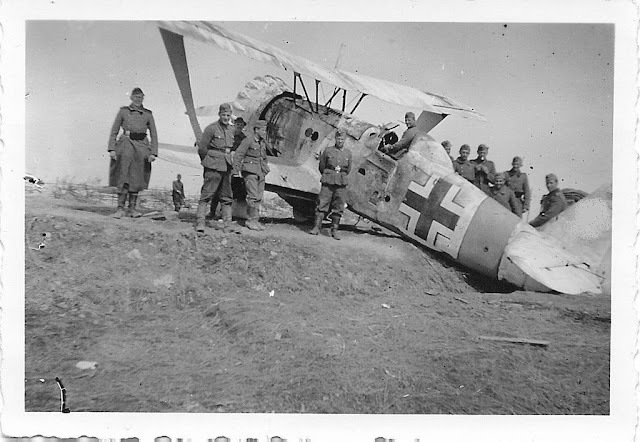 In reality Rudel's 'achievements' were but a drop in the ocean, a mere pinprick in the overall scheme of battle on the Eastern Front..
NARA photo collection featuring Ardennes scenes, Pearl Harbor and several Luftwaffe subjects as posted by Gunter Gillot on his Picasa web albums. Thanks to M-A Haldiman on TOCH for the pointer. 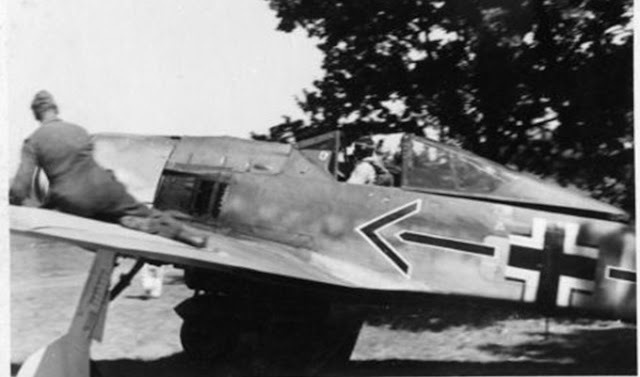 Fw 190 D-9 W.Nr. 210 239 "Schwarze 3", Ufz. 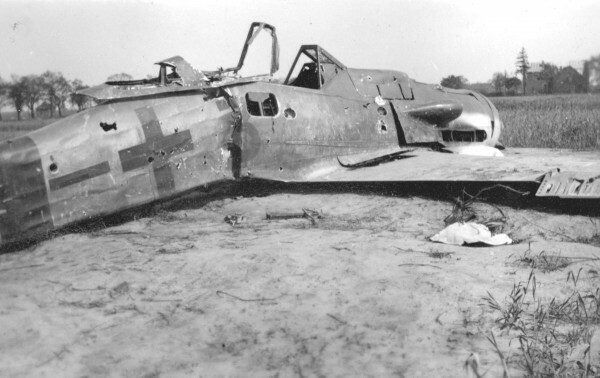 Fritz Hanusch, 6./JG 26, shot down on 7 March 1945 by the 366th FG and crash landed at Börsiker, Wesel. 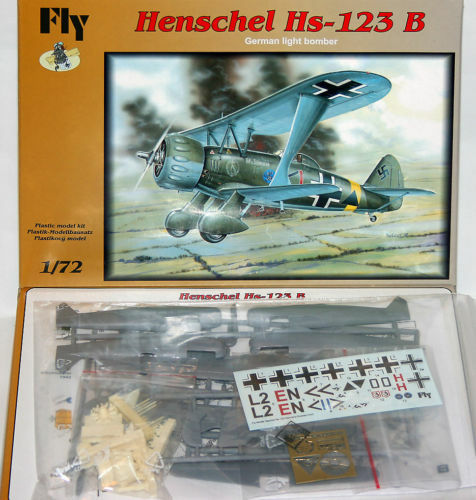 From the feedback ratings of my preferred Ebay seller the Fly Hs 123 is 'flying' off the shelves. 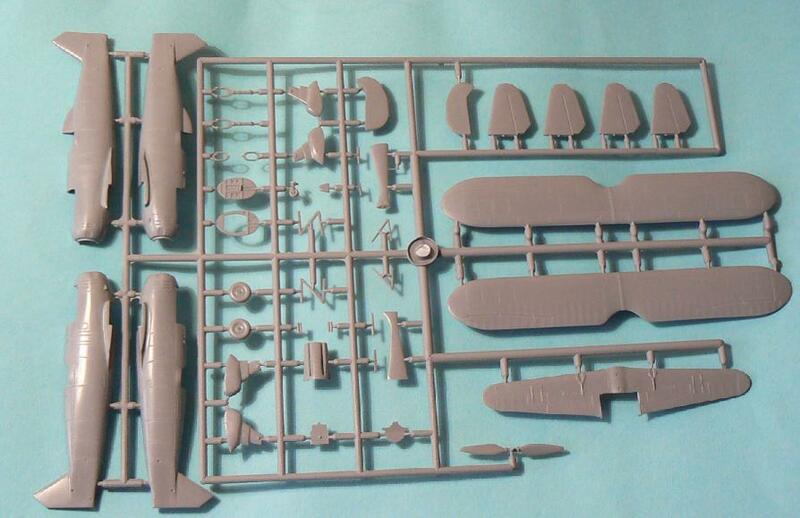 Given the antique nature of the Airfix kit the new Fly offering looks superb with its finely moulded resin, plastic and etch parts - at least in the box. 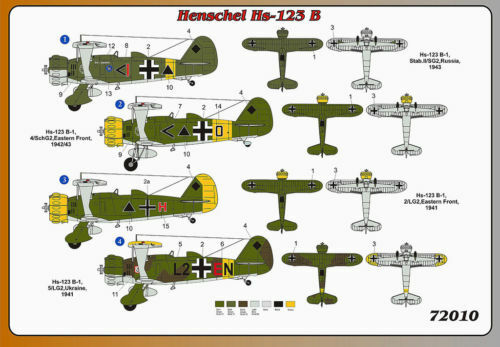 The 'Eastern Front' boxing includes four options on the decal sheet (the Legion Condor and 'China' options feature in a separate boxing). 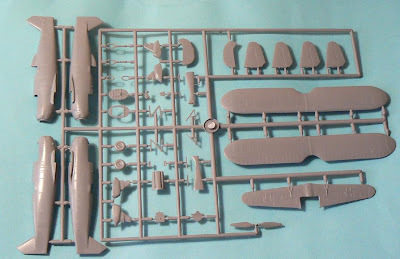 A selection of resin parts including the one-piece cowl are bagged separately, along with two sets of fuselage halves, with and without head rest fairing. 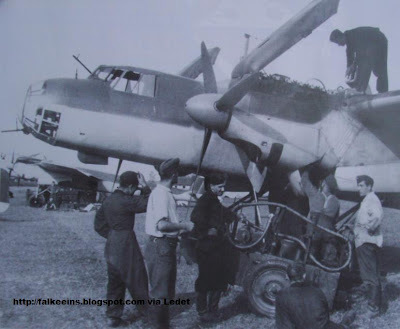 From the parts break down - undercarriage legs moulded separately - an 'unspatted' or partially 'spatted' build will also be possible..
L2+AM during the Polish campaign, regular mount of Adolf Galland. Above; three nice clear shots of a Henschel Hs 123 undergoing weapons harmonisation on the Fliegerhorst at Fürstenfeldbruck, photos from the album of a Waffenmeister (armourer) serving with Geschwader Immelmann. Note the Vorkriegstarnung, pre-war camouflage scheme. Above; photo from Jan van der Heuvel's personal collection. 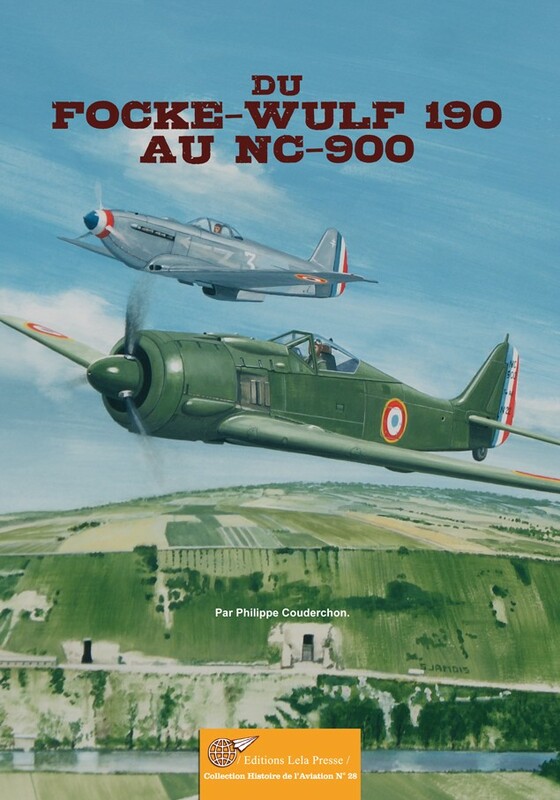 Lela Presse based in Outreau, Boulogne-sur-Mer have launched their new web site ahead of a major revamp and overhaul of 'Avions' magazine due in February 2012. 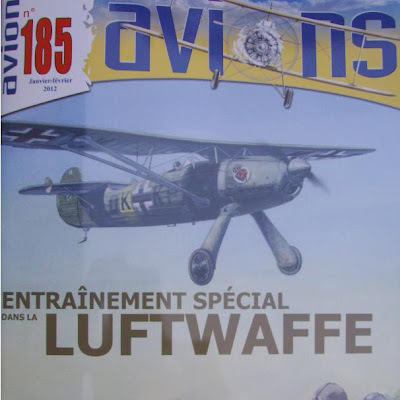 Issue 185, the first issue of 2012, will be the last of the current-look 'Avions' with the next and subsequent issues featuring a new page layout and design and an additional 24 pages per issue. There is invariably something of interest in each issue; No. 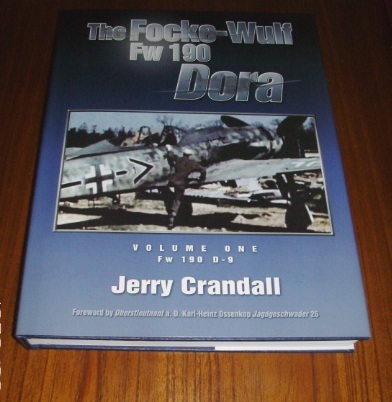 185 devotes 13 pages to the history of the Luftwaffe pilot training school FFS (Flugzeugführerschule) A/B 123 established for Croatian pilots in Zagreb following its transfer from Elbing during September 1941 and a further ten pages continuing the history of Polish fighter group III/3 vs. the Luftwaffe during September 1939. 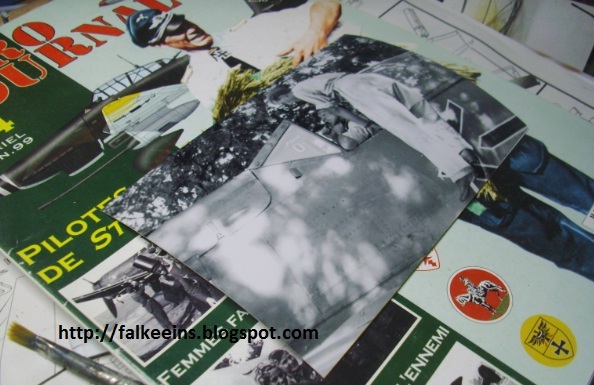 Originale Albumseite mit 4 Privatfotos featuring several Fw 190s belonging to Schlachtgeschwader 1, photos taken in Deblin-Irina. Note the very nice views of the Gruppenabzeichen in the form of Micky Maus. 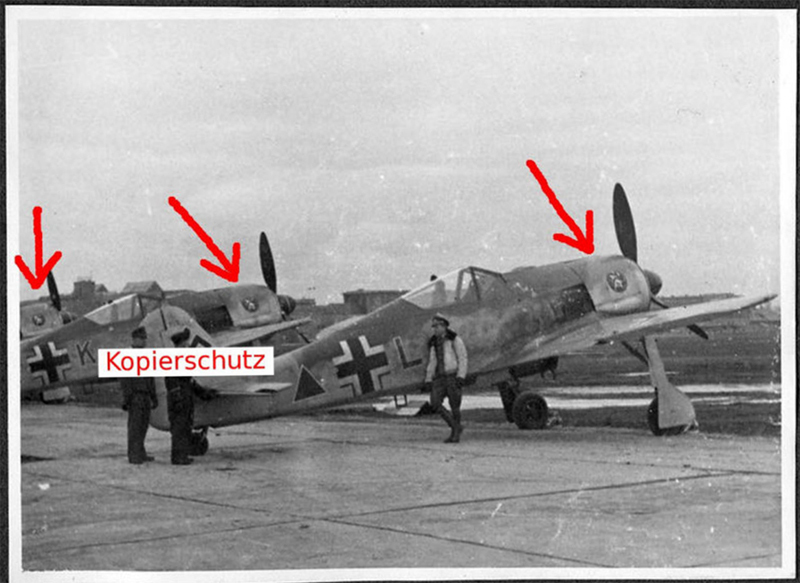 A photo page on this unit appears in Erik Mombeeck's Luftwaffe Gallery 1. The pilot with RK in the cockpit is Lt. Stollnberger. 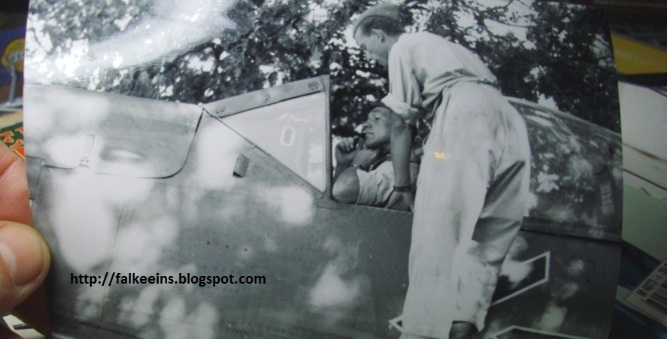 Hans Stollnberger’s active career began in July 1940 during the Battle of Britain with II. (Schlacht)/Lehrgeschwader 1, based at Cambrai in northern France and commanded by Hauptmann Otto Weiss. II. Gruppe was equipped with Henschel 123s. II. 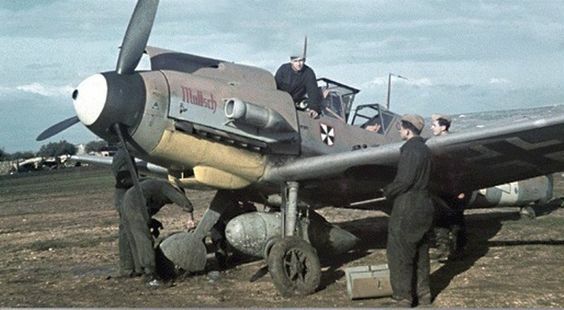 (S)/LG 1 was recalled to Germany in July 1940 to retrain on Me 109 Es and then posted back to France, to Calais-Marck, in time for the finale of the Battle of Britain in September 1940. II. 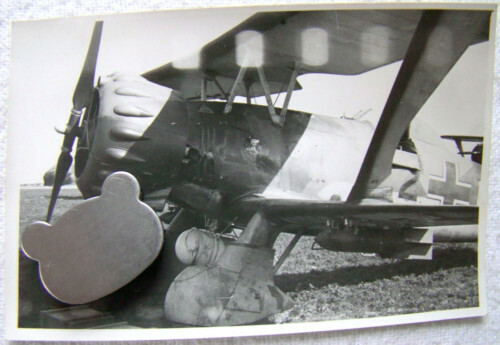 (S)/LG 1 remained at Calais-Marck until March 1941, when the Gruppe moved to participate in the invasion of Yugoslavia, where Stollnberger won the EK2 on 09.05.1941 as Fahnrich, his award document being signed by General der Flieger Wolfram Freiherr von Richthofen, Commander of VIII Fliegerkorps. 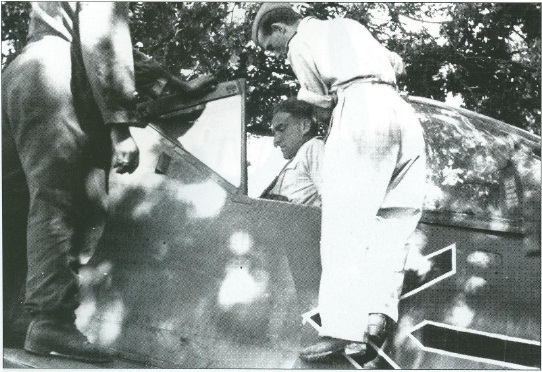 Receiving the Combat pilot clasp in Bronze on 28 June 1941, he was promoted to Leutnant on 30.06.1941. He was in 4. 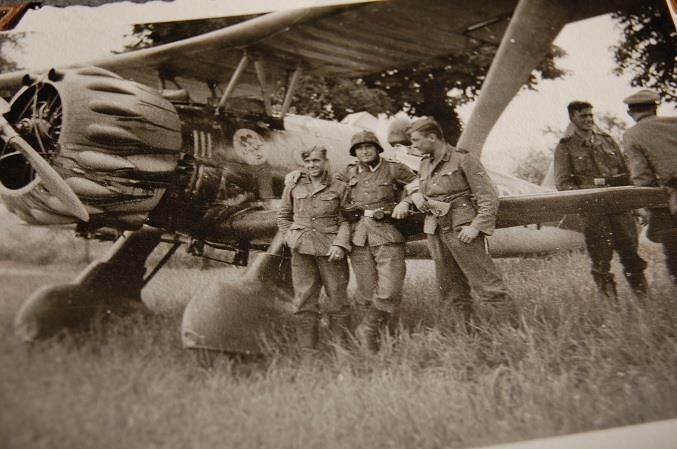 Staffel, commanded by Alfred Druschel, as Barbarossa was launched, flying sorties in support of Army Group South. He received the EK1 and the Combat clasp in Gold on 23 July 1941. 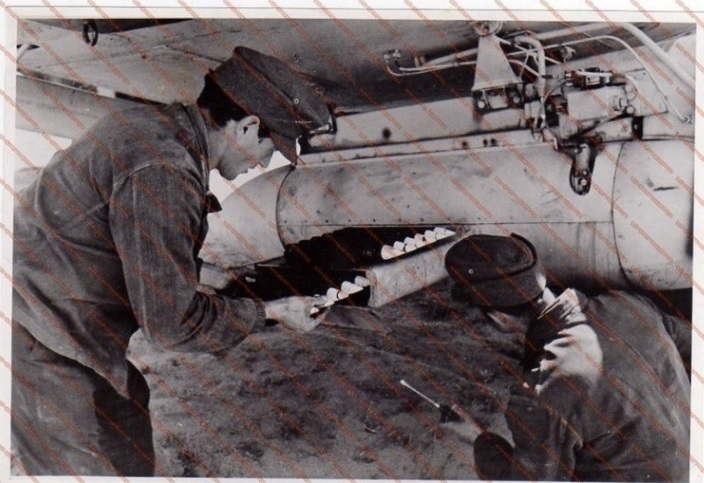 His EK1 document was signed by Generalfeldmarschall Kesselring. 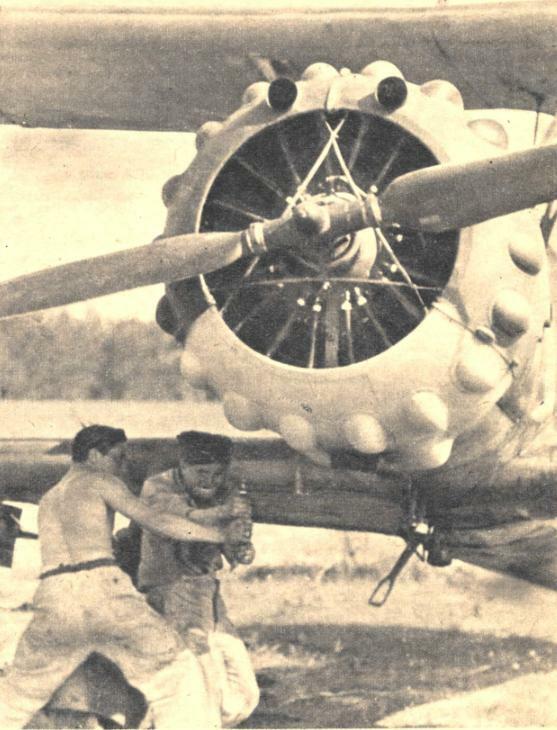 In September and October 1941, II. 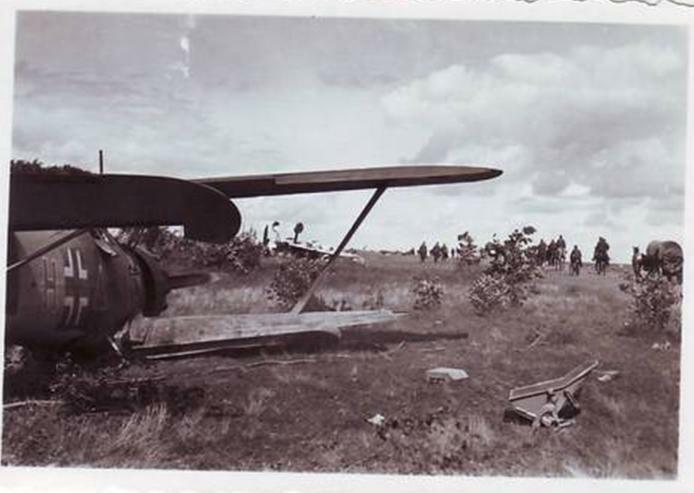 (S)/LG 1 was based at Kalinin, covering the unsuccessful attempt to take Moscow. On 13.01.1942, II. (S)/LG 1 became Schlachtgeschwader 1, still commanded by Otto Weiss, now an Oberstleutnant. On 07.02.1942, Stollnberger received the Ehrenpokal or honour goblet. The unit covered the advance of Army Group South towards Stalingrad and into the Crimea. On 01.05.1942, he received the Winter War Medal. In September 1942, Stollnberger became Staffelführer of 8./Sch. 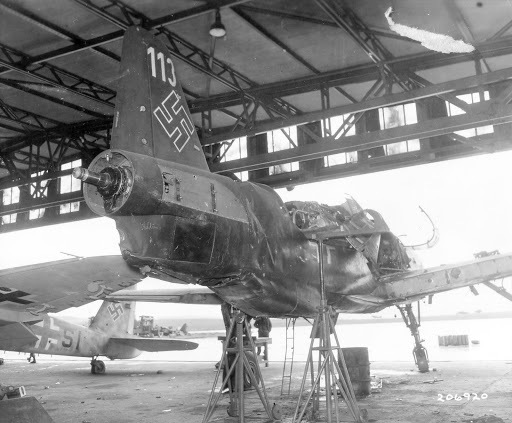 G. 1 and received the DkiG on 24 September 1942, which usually preceded the award of the Ritterkreuz. 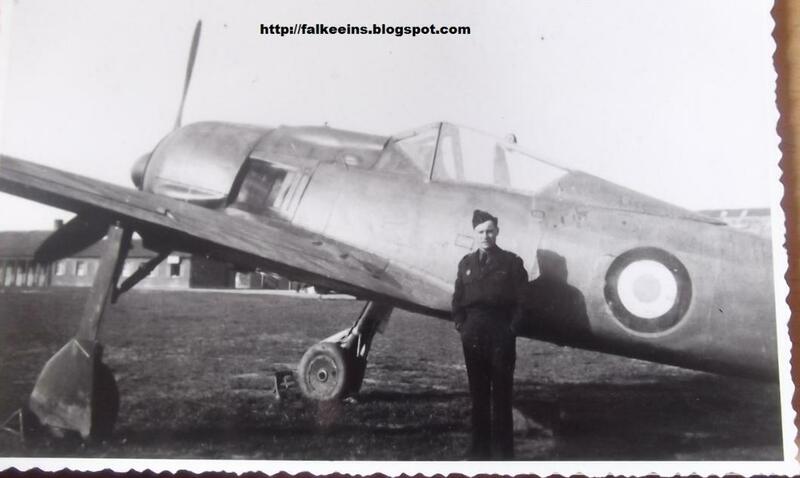 He received the RK in the field on 18 October 1942 after his 460th combat mission as a Schlachtflieger with 20 confirmed victories. 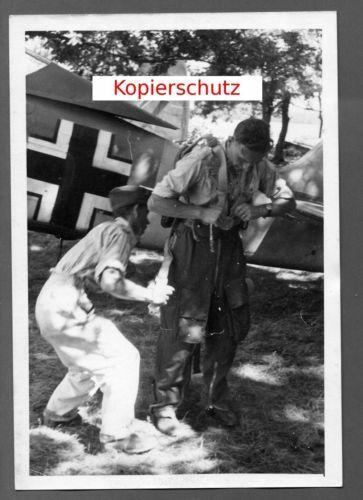 He received the Pendant to his Gold Fighter Clasp on 06.12.1942 and was promoted Oberleutnant on 20 February 1943. 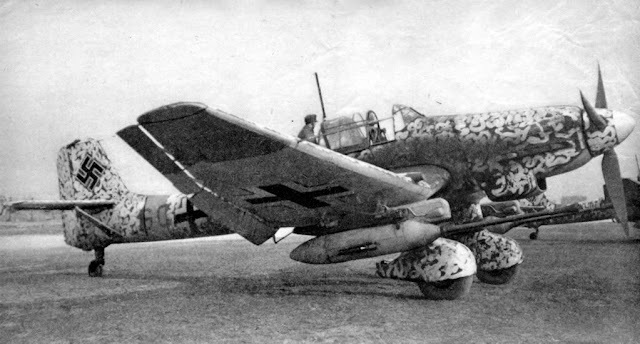 On 24 May 1943, Stollnberger was promoted Hauptmann and flew sorties at Kursk (Zitadelle) in July 1943 as Staffelkapitän of 6./ Sch. 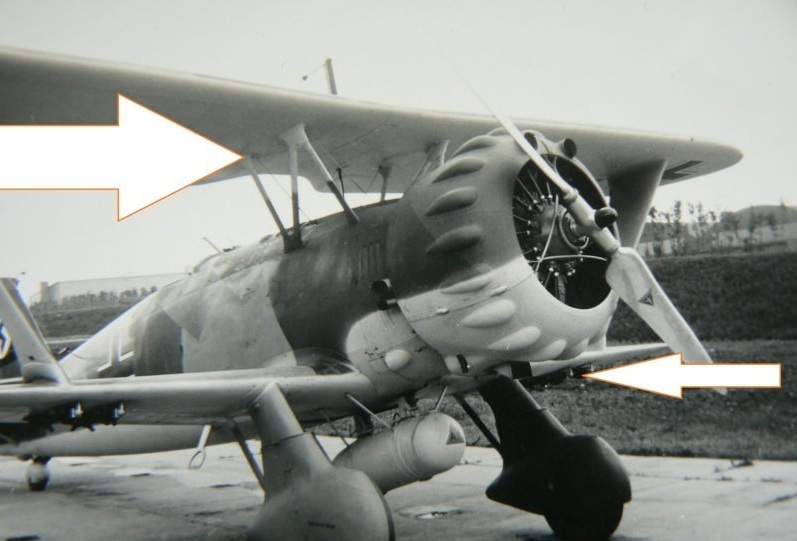 G. 1. By now his unit had converted from its Emils to Focke-Wulf 190 Antons under Alfred Druschel. During the battle Stollnberger was shot down by Soviet anti-aircraft guns and spent four days evading capture behind enemy lines before crossing the Don river at night and reaching German lines. 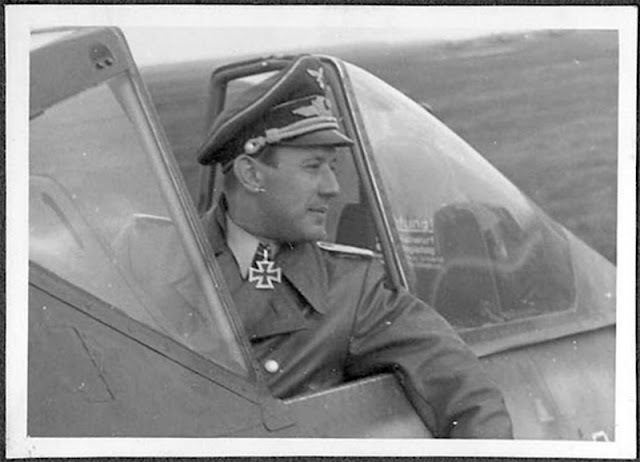 Stollnberger was posted from the Eastern Front to France for a spell as an instructor with 2./SG 101, formed in February 1942 from Schlachtfliegerschule 1 and based in Reims. 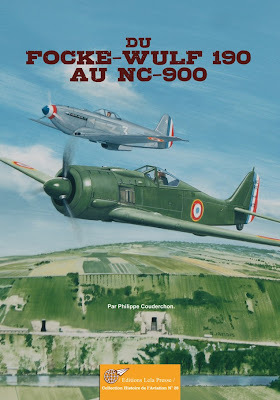 From 18.05.1944 to 10.11.1944, Stollnberger commanded I./SG 101, flying Ar 96s, Fw 190s and Hs 129s out of Paris-Orly and then, as Allied forces advanced through eastern France, Wischau. 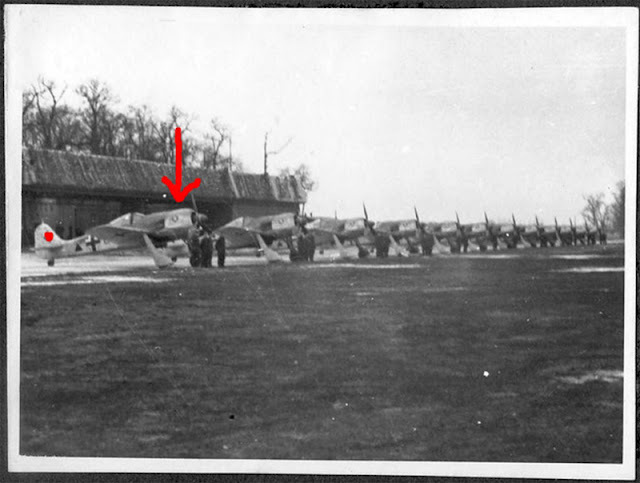 He was then posted to III./SG 4 serving from 22 January 1945 with 8./SG 10 in Papa, Hungary as Staffelkapitän. SG 10 was equipped with Fw 190 Fs and Gs. 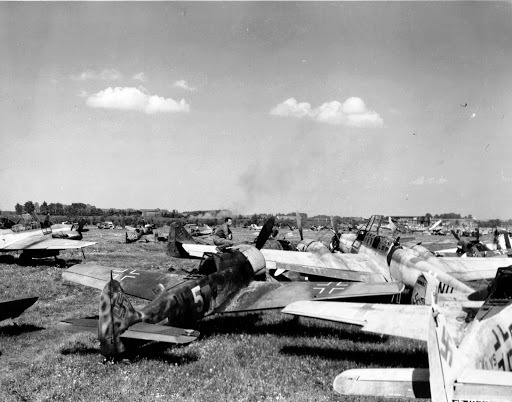 As the Soviets advanced, the unit left Papa in March 1945, returning to Germany, and in the final weeks of the war, flew from Bad Vöslau, Markersdorf, Hörsching, Wels and Zeltweg. 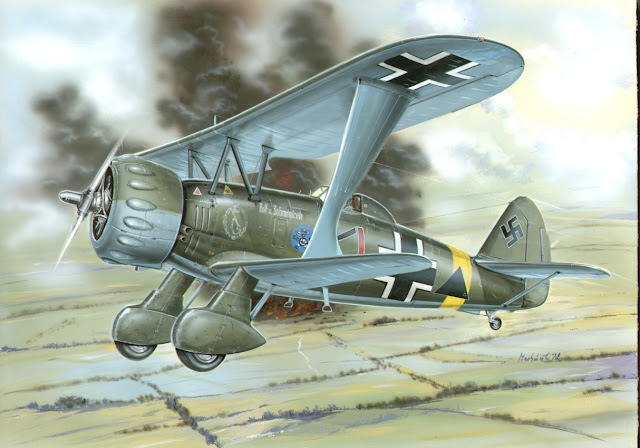 Hauptmann Stollnberger ended WW2 with a score of 45 aerial victories plus countless ground targets destroyed during more than 600 combat missions. 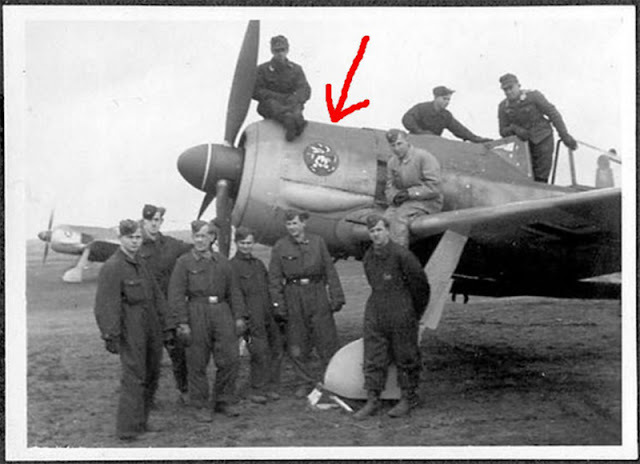 While he is usually listed as a Stuka ground attack pilot in correspondence (with PK) he claimed his final victories were in Me262 "Turbojäger". 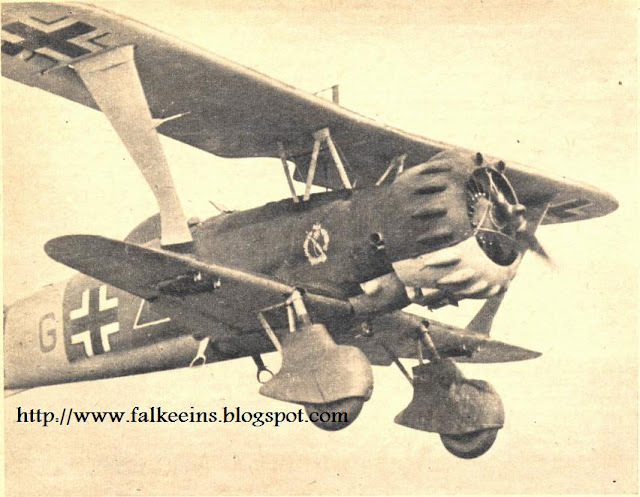 Given the Führerbefehl regarding the way in which the new jets were manned and deployed, especially towards the end, this is not beyond the realms of possibility..